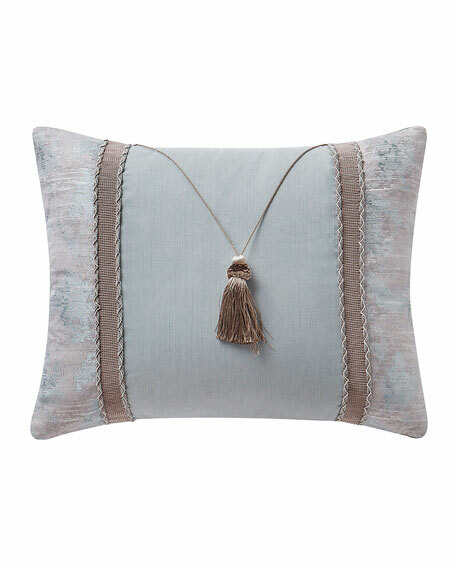 Waterford Farrah Decorative Pillow, 16" x 20"
WaterfordFarrah Decorative Pillow, 16" x 20"
This aqua and grey pieced oblong pillow in a painterly strié pattern has exquisite ribbon detail, and is finished with a center tassel for added elegance. 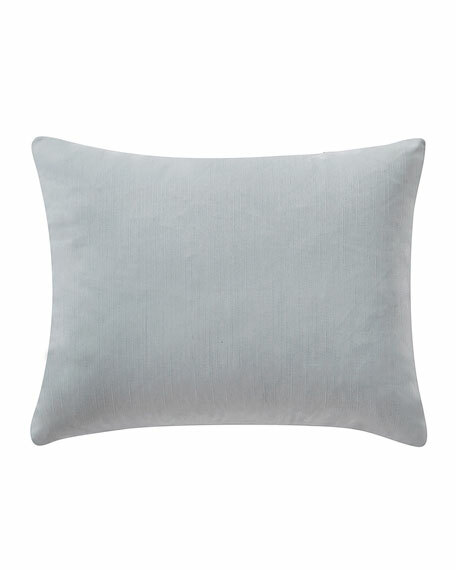 Decorative pillow with center hanging tassel. For in-store inquiries, use sku #2502402.